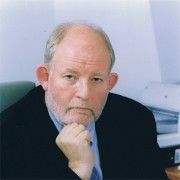 Charles Clarke is Visiting Professor in Economics and Migration at University College London and a fellow at CReAM since 2012. As Home Secretary from 2004-06 he had direct responsibility for Migration, including the February 2005 White Paper, “Controlling our Borders: Making Migration Work for Britain” (Cm 6472). Charles currently has a range of activities in the field of international education, including work with Open University, Infinitas Learning, INTO University Partnerships and the Alexandria Trust. He gives papers at various international education events and seeks to promote educational development internationally. Appointments: Since 2011, Charles has been a member of the Transatlantic Council on Migration, which is a project of the Migration Policy Institute. He is a member of the International Advisory Board of the Schengen White List Project, which is run by the European Stability Initiative. He is also a Council member of the European Council for Foreign Relations and a member of the Steering Group of the Apeldoorn Conference which stimulates dialogue between the UK and Holland. Other academic appointments include Visiting Professor in Politics at the University of East Anglia and Visiting Professor in Politics and Faith at the University of Lancaster, as well as other occasional academic lectures and events. Career: Charles Clarke read mathematics and economics at Kings College Cambridge. He was President of the National Union of Students from 1975-77. From 1978-80 he worked on urban regeneration in Hackney and was then elected Labour councillor there. From 1980-1992 he worked for Neil Kinnock MP as his political adviser and then Chief of Staff after he became Labour Party Leader. After election to Parliament as Labour MP for Norwich South in May 1997 he was appointed to the Treasury Select Committee. In July 1998 he joined the government as Parliamentary Under Secretary of State for School Standards and then Minister of State at the Home Office. In 2001 he joined the Cabinet as Labour Party Chair and Minister without Portfolio and then served as Secretary of State for Education and Skills and then Home Secretary.